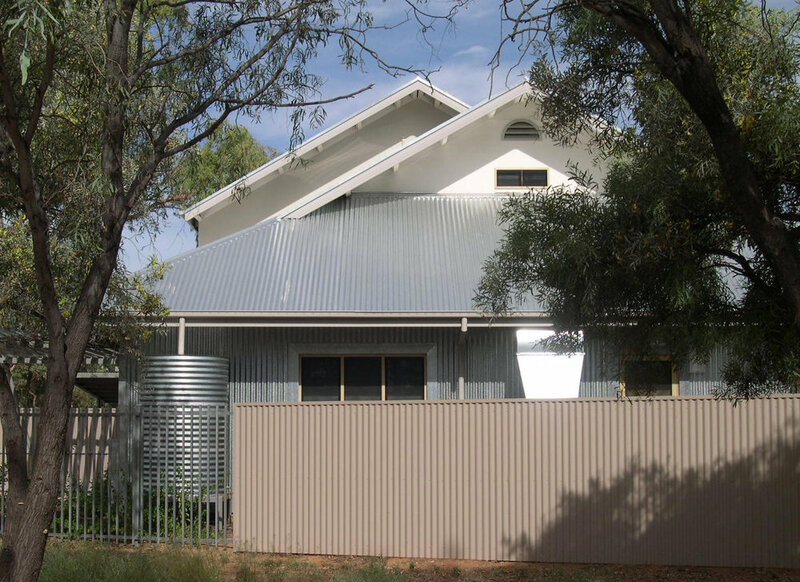 These houses and units for hospital staff sit within the Alice Springs Heritage Precinct on a site with a number of sacred trees. The forms and materials used make reference to the heritage context without mimicking older buildings. 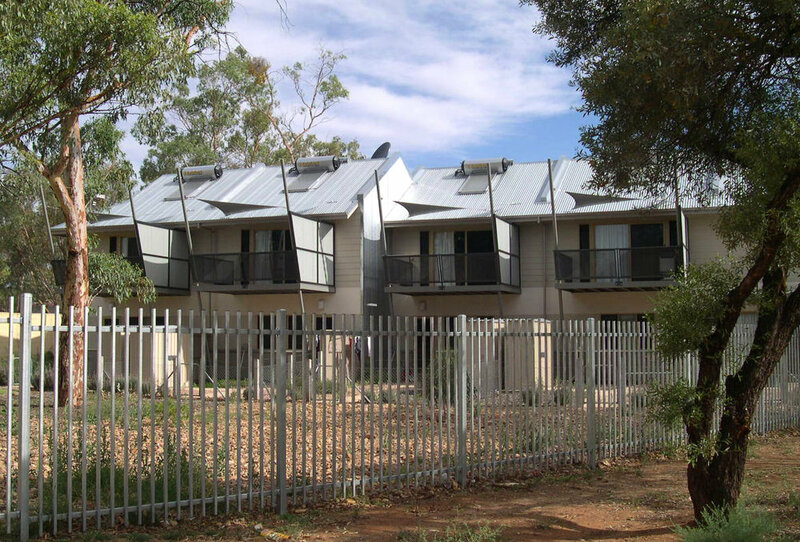 They were the first dwellings in Alice Springs to achieve 5 stars under the FirstRate rating tool.